This interview is part of our series, Building Your Team — Helping Professional Athletes Build Their Team of Professionals. Many professional athletes come into their wealth at an early age, but may not be prepared to manage such a sudden, large influx of earnings. Connecting athletes with trusted advisors is imperative to ensure that these individuals are able to make their wealth last throughout their lifetimes — not just at the peak of their careers. Professional athletes often find themselves in a position to purchase sizable real estate assets at a young age. 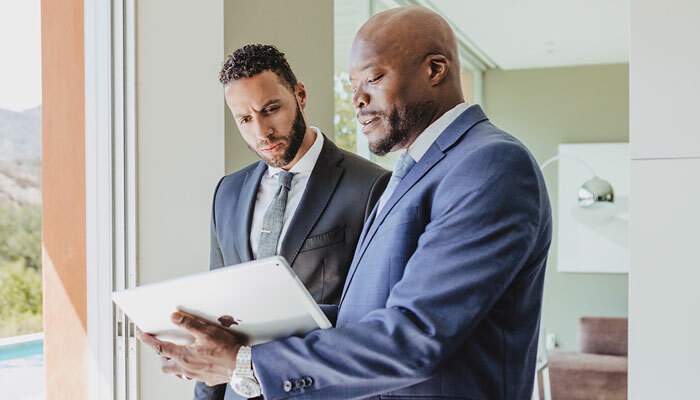 Whether it be buying or leasing homes, their real estate needs tend to be career specific and benefit from having the expertise of a broker with a s­­ports and entertainment client base. Kofi Nartey is a celebrity and luxury real estate expert and national director of the Compass Sports and Entertainment Division. Kofi has been a correspondent on celebrity and luxury real estate for more than 100 national television and print media outlets. He was also a regular featured agent on HGTV's Selling LA. His clientele includes such high-profile professional athletes and entertainers as Kevin Durant, Derek Fisher, Iggy Azalea, Nick Young, James Van Der Beek, Neve Campbell, Candace Parker and Michael Jordan. In 2017, his book, “Sellebrity: How to Build a Successful Sports & Entertainment Based Business," became an Amazon best-seller. Charles Frazier, sports and entertainment banking team lead at City National, sat down with Nartey to discuss how athletes can best navigate their often complicated real estate decisions. Charles Frazier: How did you get started in the sports and entertainment side of the real estate industry? Kofi Nartey: I went to University of California, Berkeley for undergrad where I played football. When I finished there, I got a brief shot with the Oakland Raiders. I also got into acting for about 10 years. Because I had a background in sports and entertainment, and because I knew that their lifestyles were different, as well as having a lot of friends and clients at the time who were being taken advantage of, I knew that was an area where I could help them. So I started focusing on sports and entertainment real estate in 2007, and I haven't looked back since. Frazier: Why should a professional athlete hire a sports-specific real estate agent? Nartey: The main reason — we can help them avoid some of the pitfalls and mistakes that people will make if they don't have experience working with someone in sports and entertainment. There are things that are different about the way most athletes live and work, and understanding the nuanced differences of their lifestyles is crucial. They can be traded at a moment's notice, and they have increased privacy and security needs. For example, I had a client who was traded to one team. After they signed a lease, they were traded again to another team. Normally, they'd be on the hook for the lease for 12 months. But we put provisions in our clients' leases that allow them to get out of leases early in the event that they do get traded. We've identified nearly 100 different tips and tools, resources, and even contract addendums that protect our sports and entertainment clients better and that are specific to their needs. Frazier: Given that many professional athletes often have to relocate, what are some of the mistakes that you've seen professional athletes make when not choosing a sports-specific real estate agent? Nartey: It begins with the decision to buy or lease. For example, if they are going to a new team in a city that they've never lived in and don't really have contacts, it might make sense to lease first. It also depends on the length of their contract. If they're just there for a year or two years, leasing might still be the better option. There are some rare opportunities when they're moving to an up-and-coming market where they would want to buy because the market is hot. If an athlete is planning on spending his or her off seasons somewhere else, then that's another thing to consider. It can also boil down to very simple things like countertop heights. If an athlete is 6-foot-6 or taller, for example, we don't show them places with counter tops that are built for someone 5-foot-3. Finally, you need to factor in where the athlete works. In football for example, they practice in one area and play games in another. Often those can be as much as an hour apart. If they're not dealing with a real estate agent who thinks about that, the agent might put them close to the stadium thinking, "Well, that's where they play on Sundays." Well, they only play there on Sundays, sometimes Mondays, and only half the season. The rest of the time they're on the road. The other four to five days of the week they're going to the practice facility, which means proximity to that is much more important so as to avoid fines for being late. Those are all things that real estate agents may not think about when working with an athlete if they don't have that experience and knowledge. Frazier: How is working with athletes different from your regular residential buying or leasing client? Nartey: Most athletes and entertainers make money for a small portion of the year. So that's when I'm calling someone like yourself, who has people who can lend to someone based on that type of income. Because that can be a big challenge when trying to get financing. One of our former clients, who was buying a home in another area, was working with an agent who didn't have entertainment experience and the agent referred him to a lender who did not have experience working with clients with fluctuating income either. At the final hour of the negotiations, they had removed all contingencies, which meant the deposit on the home was at risk. The lender came back and said, "Well, we can't give you the loan." The athlete had almost a six-figure deposit that they could have lost. I had to hop on the phone with the other side of the transaction to negotiate getting them some extra time so that I could find them a lender who might be able to provide them with financing despite their unique income situation. Frazier: When a professional athlete is looking to lease a home or purchase a home, what are some pieces of advice you give them on why they should choose a specific home? Nartey: We discuss what their needs are both short term and long term. Is this a place they're going to spend their off seasons? Are they going to try to raise a family here? With that information, the main focus becomes lifestyle. Proximity to the things that are a part of their lives — schools, practice facilities, gyms, entertainment. Also there are privacy and security concerns. Making sure that they are either in a gated community or a concierge secure building so you don't have TMZ rolling up to your house, you don't have stalkers or fans who can come straight to your front door. Also, when you're traveling, we want to make sure your home is secure and private. As for any client, real estate is a long-term investment strategy, and with the professional athlete you need to strategize based on the duration of time the athlete thinks they are going to be living there. 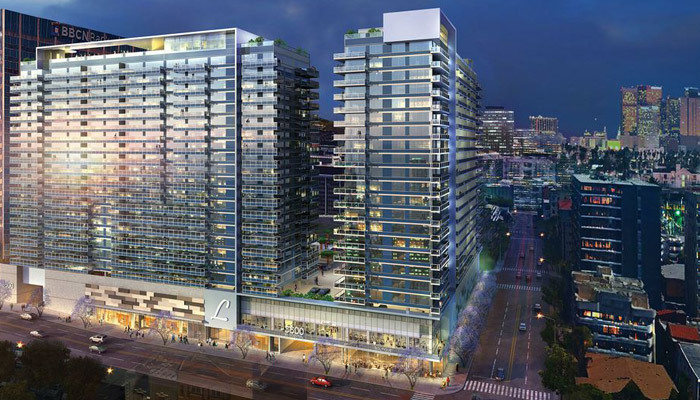 New renderings presented to the Wilshire Center Koreatown Neighborhood Council offer a look at two new towers proposed for Koreatown—one of many projects in the neighborhood from landlord and developer Jamison Services. First proposed in 2016, this project at 3600 Wilshire would take the form of two 23-story buildings with 760 studio, one-, and two-bedroom apartments and about 6,000 square feet of commercial space. 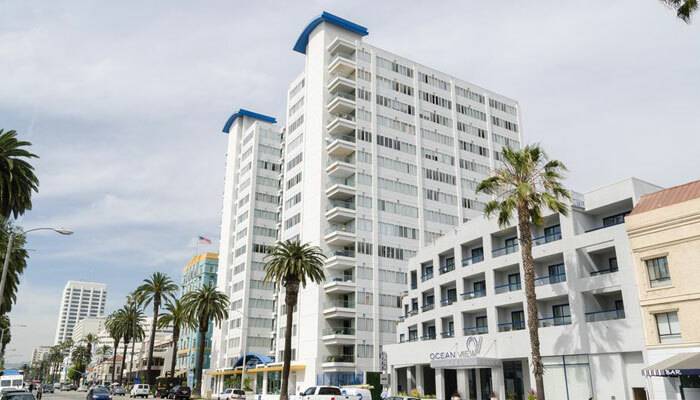 The new project would replace an existing parking garage bounded by Seventh Street, Harvard Boulevard, and Kingsley Drive. The Perkins+Will-designed project would also include new landscaping along its borders. Renderings and plans for the project show it would include a pool deck on each building and private balconies. The towers would sit on a podium of parking and retail. The project would include about 1500 parking spaces. The timeline for the project is unclear. Jamison has a number of projects in the works in Koreatown, including plans to convert a 13-story office building nearby into apartments. Elon Musk has some serious competition in his plans to get Dodger fans to and from games. The letter will allow the agency to begin negotiations with the company in order to allow the proposal to move forward. ARTT is led by Drew McCourt, the son of former Dodgers own Frank McCourt. The company revealed plans for the project in April, estimating it would cost about $125 million to build. Welborne said that, if all goes according to plan, the project is on track to open by 2022. 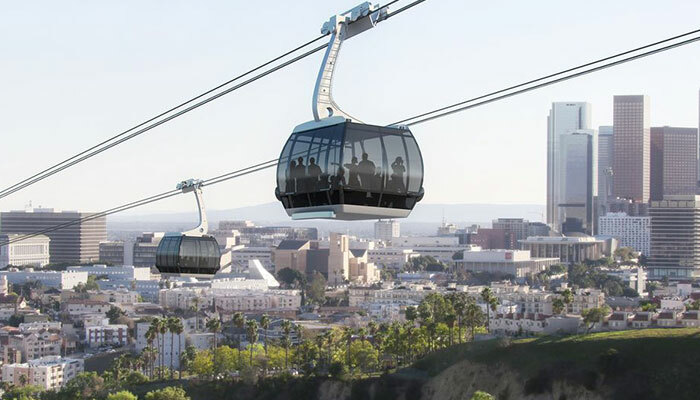 The tram would be privately funded and privately operated, but the company has asked Metro to “take the lead role in the procedural requirements for route selection and right of way,” according to a statement from ARTT issued earlier this year. Meanwhile, tech entrepreneur Elon Musk revealed ambitions in August to build an underground transit line to the stadium that would carry riders between the venue and a nearby Metro station on game days. The project is undergoing environmental review. Metro already offers free shuttle service before and after games between the stadium and Union Station, as well as the Harbor Gateway Transit Center. How is Metro going to finish 28 projects in 10 years? A tax on scooters and tolls for drivers on the road during rush hour are two possible sources of funding that Metro could use to pay for an ambitious plan to complete 28 projects in time for the 2028 Olympics. The agency’s board of directors will consider a report this week that outlines how the agency could carry out Mayor Eric Garcetti’s “Twenty-eight by ’28” initiative without compromising service or going deep into debt. Most of the projects included in the initiative were already scheduled to wrap up before 2028. 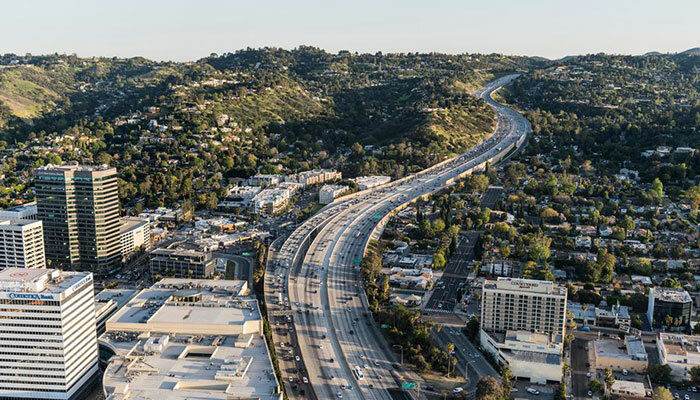 But eight projects—including a transit line through the Sepulveda Pass, an extension of the southern leg of the Gold Line to Whittier, and a new light rail route between Artesia and Downtown LA—would open far ahead of schedule. The simplest of the potential fundraising measures is an increase in fares on trains and buses. A 10 percent fare hike could generate $303 million over the next 10 years, while a 25 percent uptick could produce $757 million. But that’s far from the $26.2 billion needed to carry out the Twenty-eight by ’28 plan—and a major fare increase could drive some riders away from public transportation. Some of the most potentially lucrative options are new fees on drivers. One of these is congestion pricing, a system in which drivers are charged when passing through particularly traffic-clogged areas during peak hours. Another is a toll system called VMT pricing, in which drivers are charged based on how far they drive (or vehicle miles traveled) in a given time period. Levies like these are usually proposed as alternatives to a gas tax. Congestion or VMT pricing could produce between $12 billion and $104 billion over the next decade, according to the report. But imposing new taxes like these could be politically tricky, since LA voters already agreed to bumps in sales tax when they approved Measure R in 2008 and Measure M in 2016. All eight of the projects Metro aims to expedite are set to receive funding from Measure M, and because of that, speeding up the projects is tricky. Measure M has a strict funding schedule that can’t be altered without guarantees that other projects won’t be slowed down or lose out on funding as a result. Since Metro can’t simply re-order the project list, the agency will have to pay for all those new projects in advance. That's where the $26.2 billion figure comes from. Other possible sources for that money include grants from the federal government, expansion of sponsorship and advertising opportunities, a tax on shared scooters and bicycles, and new levies on ride-hailing companies like Uber and Lyft. Metro officials have expressed optimism about the potential of public-private partnerships to speed up certain projects, and the agency has already received proposals from private firms that could allow the Sepulveda Pass corridor and the light rail between Downtown and Artesia to materialize ahead of schedule. But private proposals aren’t an option for all of the eight projects in line for acceleration, and Metro would still need to bring plenty of funding to the table as part of these agreements. Unmentioned in the report is another potential obstacle: escalating construction costs. Last month, the agency overseeing construction of Metro’s Gold Line extension to Montclair announced a plan to break the project up into two segments due to “a significant unfavorable shift in market conditions.” The projected budget for the 12.3-mile extension has also ballooned more than 35 percent, to $2.1 billion. Kenneth Simonson, chief economist for the Associated General Contractors of America, wrote a white paper on the project in which he argues that the Gold Line’s escalating costs are part of a broader trend affecting transit projects nationwide. Simonson says that a shortage of laborers qualified to work on these projects and the impact of new tariffs on building materials are driving up prices needed to complete major infrastructure developments. “The baseline has certainly changed,” he tells Curbed. If more projects go over budget, that will make it even more difficult for Metro to ensure that every item on the Twenty-eight by ’28 list wraps up on time. Denny Zane, director of the Move LA coalition, which led the campaign for Measure M tells Curbed that it's too early to write off the Twenty-eight by ’28 objectives. 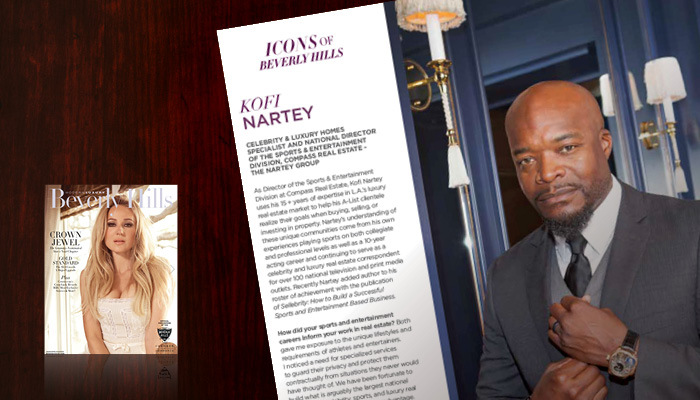 Modern Luxury Beverly Hills – the official publication of the Beverly Hills Chamber of Commerce – has named The Nartey Group's Kofi Nartey an Icon of Beverly Hills, an honor that included a write-up in the Fall/Winter issue of the magazine. Kofi's interview can be found below, and can also be read in the magazine's digital edition. 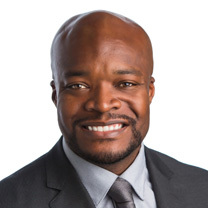 As Director of the Sports & Entertainment Division at Compass Real Estate, Kofi Nartey uses his 15+ years of expertise in L.A.’s luxury real estate market to help his A-list clientele realize their goals when buying, selling or investing in property. Nartey’s understanding of these unique communities come from his own experiences playing sports on both collegiate and professional levels as well as a 10-year acting career and continuing to serve as a celebrity & luxury real estate correspondent for over 100 national television and print media outlets. Recently, Nartey added author to his roster of achievement with the publication of Sellebrity: How to Build a Successful Sports and Entertainment Based Business. How did your sports and entertainment careers inform your work in real estate? Both gave me exposure to the unique lifestyles and requirements of athletes and entertainers. I noticed a need for specialized services to guard their privacy and protect them contractually from situations they never would have thought of. We have been fortunate to build what is arguably the largest national database of celebrity, sports and luxury real estate clientele, which is a huge advantage. I also obtained my MBA to bring more of a business approach to my real estate business. How does the Beverly Hills community inspire your work? Relationships are everything, so having made great business and personal connections in Beverly Hills has been key. There is also a lot of overlap with our clientele, as luxury homeowners also enjoy luxury goods and services, so having referrals for everything from watches to wealth managers and single malt scotches to private aviation has been tremendously helpful. More growth and more giving through our family’s Nartey Sports Foundation. We donate a portion of every real estate deal to this cause that supports underserved youth in sports. Professionally, 2019 will bring a slight shift in the market, so we will continue to be the advisors that help our clients make the best decisions. Ownership of the Hollywood and Highland shopping center could be changing. The Real Deal reports that owner CIM Group and Abu Dhabi Investment Authority have listed the roughly 450,000-square-foot tourist magnet for sale. Sources tell The Real Deal a sale could bring in as much as $300 million. 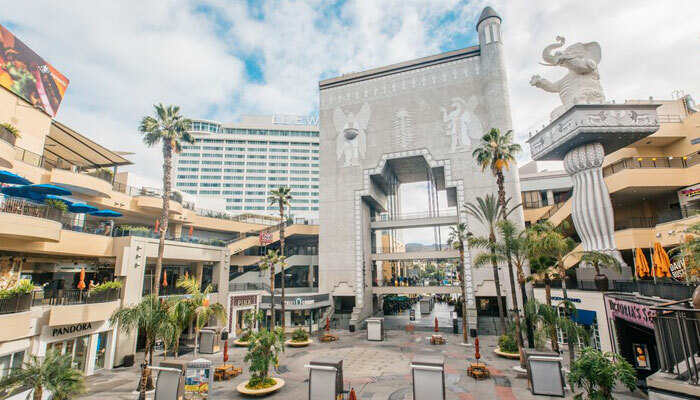 Located along the Walk of Fame, Hollywood and Highland stands out, perhaps in large part because of it unusual design, inspired by a Babylonian film set from a 1916 epic directed by Birth of a Nation’s D.W. Griffith. The retail center opened in 2001 and has been owned by CIM since 2004. Hollywood and Highland holds a Sephora, a Forever 21, and a fancy bowling alley. Rascal Flatts was supposed to have a restaurant in the mall, but the country music trio was later sued by their partner in the restaurant deal (the partner claimed the musicians pocketed the money instead of using it to build the eatery). The shopping center sits above Metro’s Hollywood/Highland subway station, and its namesake intersection received a scramble crosswalk two years ago. Head over to The Real Deal for the full story. A highly anticipated apartment, hotel, and shopping complex designed by Frank Gehry atop Bunker Hill takes a big step forward today. 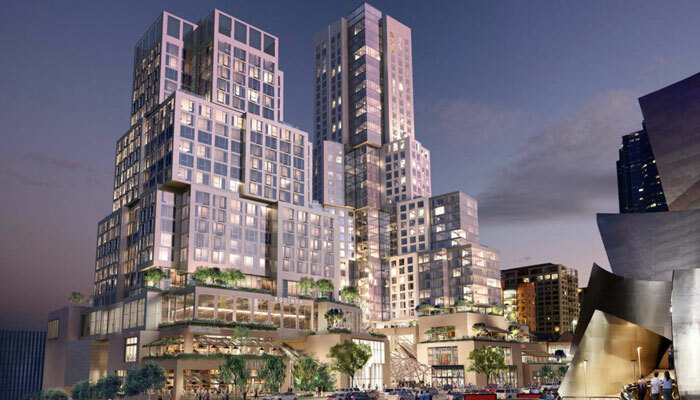 Developers for The Grand (formerly the Grand Avenue Project) announced they have secured $630 million in construction financing for the $1 billion project. Pre-construction work, including demolition on a parking structure on the property, will begin this month on the Grand Avenue site. The property sits just east of the Walt Disney Concert Hall, as new renderings show. A groundbreaking ceremony is scheduled for sometime in the “upcoming months,” say developers Related Companies and the China-based CORE US, a partnership between China Harbour Engineering Company and CCCG Overseas Real Estate. Related has long said it plans to break ground on the project in 2018. When complete, The Grand will include a 20-story hotel, retail and entertainment, and a 39-story residential tower with 128 condos, 214 market-rate apartments, and 86 affordable housing units. The Grand’s two towers will rise on a parking lot just east of the Walt Disney Concert Hall. Other elements of the Grand Avenue project have already been built, including the Emerson apartment tower and Grand Park. Bunker Hill is on an upswing, development-wise. A major project planned at the corner of Fourth and Hill would bring an 88-story tower, hundreds of hotel rooms and condos, retail space, and an elementary school to the neighborhood. At the site of a former Marriott on Figueroa near Third Street, a 77-story tower is planned that would be taller than the Wilshire Grand. And at the site of the World Trade Center on Figueroa and Fourth, prolific landlord and developer Jamison plans to put in a 41-story tower with 750 residential units. Tunneling is officially underway on Metro’s Purple Line subway extension to the Westside of Los Angeles. The first round of tunneling started Tuesday beneath the intersection of Wilshire Boulevard and La Brea Avenue. 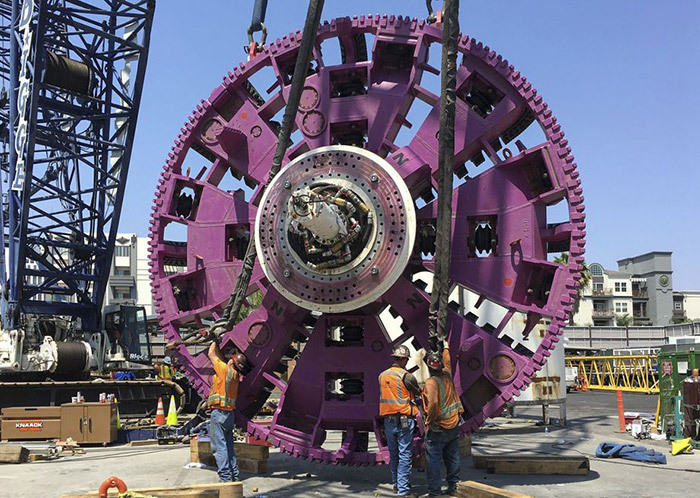 Twin 450-foot-long tunnel boring machines (dubbed Elsie and Soyeon) will carve out about 60 feet of tunnel daily for the next two years, en route to the Wilshire/Western station, where Purple Line trains now turn back for Downtown Los Angeles. The first phase of the Purple Line extension broke ground in 2014 and is expected to open in 2023. The $2.82 billion project will add a little under 4 miles of track to the subway route, bringing it to the intersection of Wilshire and La Cienega boulevards. Eventually, the extension will bring the train all the way to the VA hospital, just west of the 405 on the border of Westwood and Brentwood. The project is being constructed in three segments. Phase two will run between La Cienega and Constellation Boulevard in Century City. The third phase will add a stop near UCLA en route to the VA. Altogether, the extension will add roughly 9 miles to the Purple Line and is expected to carry nearly 60,000 riders daily. But the project isn’t popular with Beverly Hills residents and school officials who have sued repeatedly to block the second leg of the project, arguing that tunneling work beneath the Beverly Hills High School campus could pose a threat to the safety of students. Metro officials have steadfastly denied these claims. Last week, students, teachers, and school administrators in the city gathered at Will Rogers Memorial Park to protest the subway project. Tunneling work hasn’t started yet on the second phase of the project, and Metro spokesperson Dave Sotero told Curbed last week that the agency selected a route that travels beneath the high school because that route “provides the greatest benefits with fewest impacts.” Another proposed route along Santa Monica Boulevard would have intersected with an earthquake fault. Protests and legal challenges notwithstanding, Metro expects all three phases of the project to be complete by 2026. 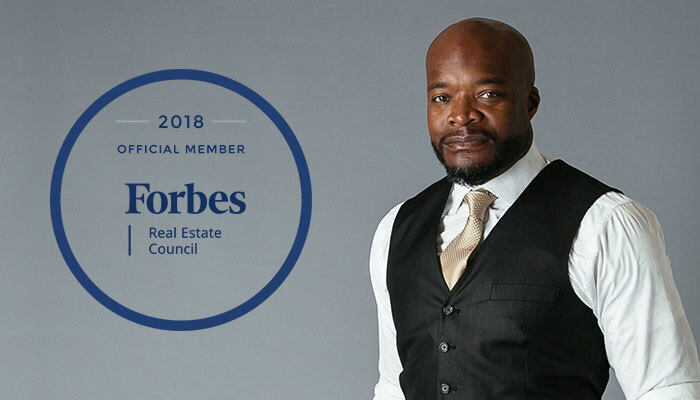 10/11/18 | Beverly Hills, CA - Celebrity & luxury real estate specialist Kofi Nartey has been accepted into Forbes Real Estate Council. Kofi and his team – The Nartey Group at Compass – have a long-standing reputation for servicing the real estate needs of celebrity and luxury clientele. Kofi was vetted and selected by a review committee based on the depth and diversity of his experience. Criteria for acceptance include a track record of successfully impacting business growth metrics, as well as personal and professional achievements and honors. As an accepted member of the Council, Kofi has access to a variety of exclusive opportunities designed to help him reach peak professional influence. He will connect and collaborate with other respected local leaders in a private forum. He will also be invited to work with a professional editorial team to share his expert insights in original business articles on Forbes.com, and to contribute to published Q&A panels alongside other experts. Finally, Kofi will benefit from exclusive access to vetted business service partners, membership-branded marketing collateral, and the high-touch support of the Forbes Councils member concierge team. "I am excited to partner with the Forbes brand, and specifically with the Forbes Real Estate Council. Our goals include providing expert service and resources to our clients, while positively impacting the real estate industry. This council will be an integral part of that mission."